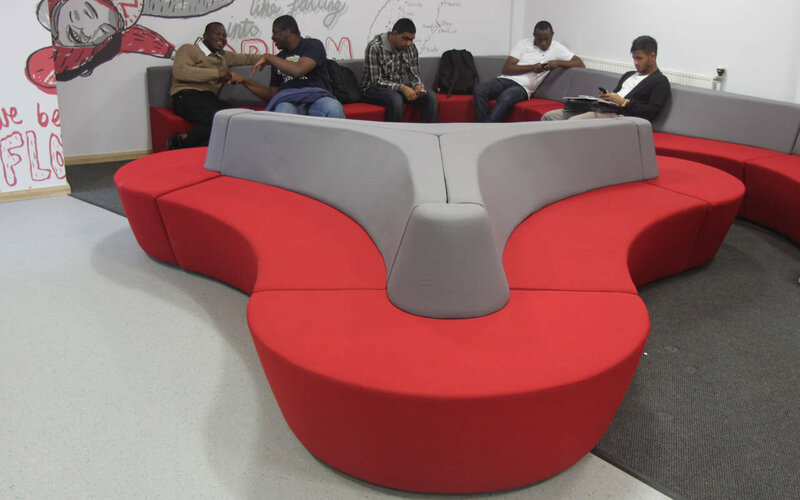 Working Environments worked with Southampton Solent University to create a soft seating area in a left lobby that was previously dead space. 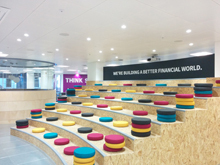 Once the contractors removed a staircase to open up the space we used the Horizon seating system to create a very popular seating area. 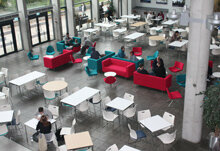 In another part of the University we transformed a corridor using the B-Bitz modular seating system. 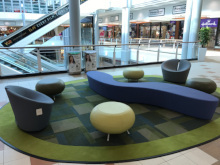 Lockers were removed and replaced with simple upholstered seating to create waiting areas in a corridor that was previously a bottleneck. 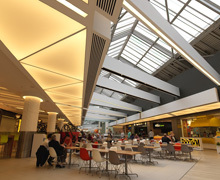 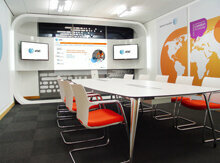 Contact us for help with specifying your communal area furniture 020 7736 6636.